Cheesy Rice burst is a delicious Appetizer/Snack/Main dish which can be easily prepared in very few minutes. It is a lip smacking dish which is crispier outside and very soft inside. A left over Rice/Cooked rice is turned to a toothsome dish with this easy recipe. Generally, it is difficult to turn the leftover rice delicious. But with this simple recipe, even a left over rice becomes tastier. As this mouthwatering dish is prepared without deep frying, it is healthy too. This toothsome dish is prepared with left over rice/cooked Rice, Creamy cheese, Bread slices, Potatoes, Green peas, Carrots, Onions, Garam masala powder, Red Chilli powder and Mango powder. Here is the simple recipe of it. Toast the Bread slices with little cooking Oil until it becomes crisper in a Dosa tawa (or use bread toaster to toast the Bread slices) at medium flame. Switch off the flame. Cut the toasted Bread slices into small pieces and grind it to a coarse powder. Bread crumbs are ready to use. Cook the whole peeled Potatoes, chopped Carrots, Onions and Green peas with Garam masala powder, Mango powder, required salt and Water (1 Cup, (1 cup = 300ml)) in a pressure cooker for 5-7 whistles (I have used stainless steel 5 litre pressure cooker and cooked for 7 whistles). Switch off the flame. Mash the cooked Vegetables and Cooked rice. Rice mixture is ready. Add Red Chilli powder, required Salt and prepared bread crumbs (half the quantity of prepared Bread crumbs) to the Rice mixture and mix it well. Make equal sized balls with the prepared mixture. Make a dent in each ball and pour little creamy cheese in it. Close/Cover it and make it as a ball again. Rice balls are ready. Spread the remaining quantity of prepared Bread crumbs on a plate. To make the Rice balls crisper, roll it over the spread bread crumbs. Rice balls are ready to cook. Grease the Appe/Kuzhi paniyaram pan with little Cooking oil and place the Rice balls in the crater of the Appe pan (Use little Cooking oil for roasting the Rice balls). Cook the Rice balls until it gets roasted well on all its sides (Use Appe/Kuzhi paniyaram pan Spatula to turn the Rice balls). Switch off the flame. Cheesy Rice burst is ready to serve. Please enter your Email address and click the “Subscribe/Follow” button to receive the Updates/New recipes in your Email inbox directly. Please find the Subscribe/Follow button of our blog/Website in the Sidebar/Bottom of each Post/Page. 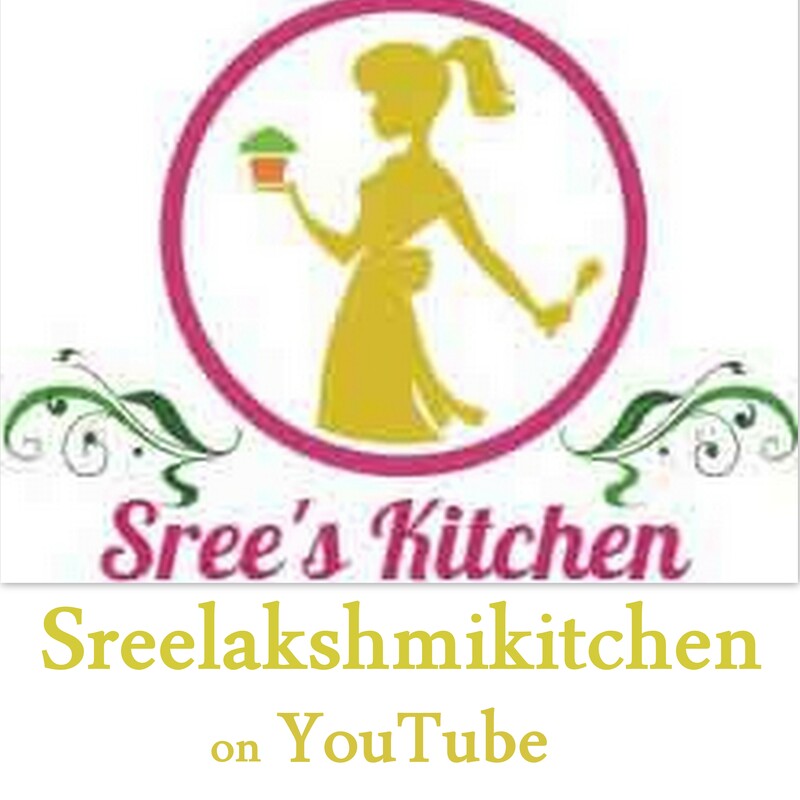 You can also follow us on Facebook page (Sreelakshmi Kitchen), Twitter, Pinterest, Google+, Tumblr. If you like this recipe, do share it in your favourite Social media (Facebook, Twitter, Pinterest, Google+, Tumblr, etc. ).